Previous Video Convex Earth – Sorry Folks, We Got It Wrong! Thanks to someone asking a simple question, I was was prompted to look into some old news and footage of the famous Halley’s Comet. It was a beautiful light in the sky that was seen by many back in 1986 and allegedly throughout history. 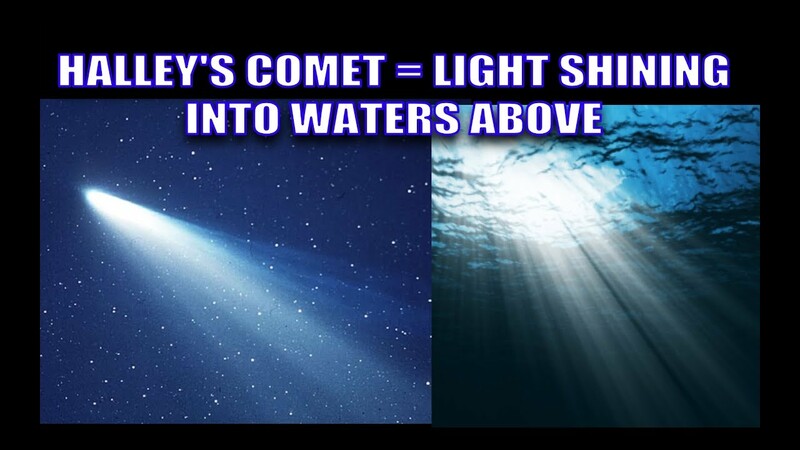 When looking for pictures of this comet, I kept discovering that it looked like a light shining into water. Knowing what we do now about the firmament, this makes sense so I wanted to pass this along to my truther family. Let us know what you think and please share anything with us on this issue that you have to help shine light on this phenomenon in the firmament. Thanks for all you guys are doing to help us share truth. You are a beloved creation! May Yahuah bless you and our growing, eternal family!